I hope you weekend is off to a good start. 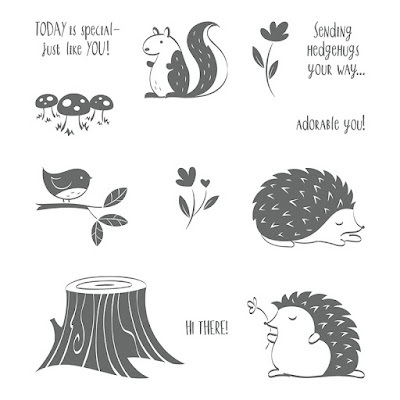 This weekend I am attending a Leadership Event hosted by my fellow Stampin' Up! 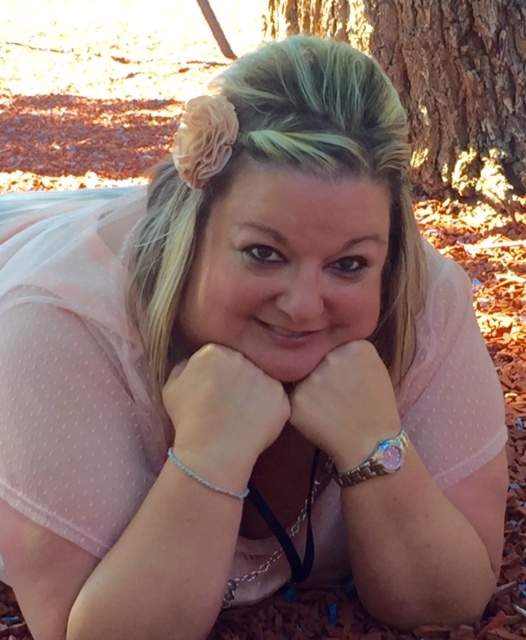 demonstrator and good friend, Ronda Wade. I love Ronda's event's as they keep me inspired and I learn to much by talking with like-minded demonstrators. When I go to events like this, I become a little sponge and soak it all in! It is also a GREAT time for me to see some of my friends who I don't get to see very often. 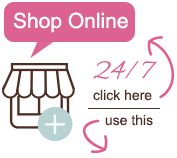 One of my FAVORITE things we do at every single Stampin' Up! event is card swapping! Most of you know that I am a card swapaholic, so me, go to an event and not take cards, NOT HAPPENING! Today I would like to share with you the swap card that I made to take with me. I made 40 of these cards and will be coming how with 40 different cards. I will do a quick video when I get back home to show you all of the treasures I receive to give you some ideas and inspiration. 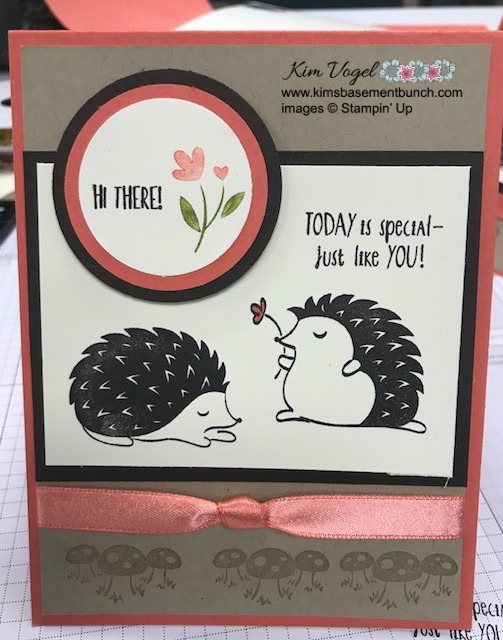 I chose to use the hedgehugs stampset. This is one of my daughter Natalies' FAVORITE! She is hoping to get a hedge hog later this spring/summer. She is saving her allowance money and I think she finally convinced her dad she could get one. Here is the CUTE card that we made. I made 70 of these cards - yes 70! These cards will be my swap for this weekend, my swap card for my team meeting and my thank you cards that I send to my customers that order from me! If you want this pretty card in your mailbox, shop online at www.kim_vogel.stampinup.net and you will get one too! I hope everyone who receives my swap card will love it as much as I do! Don't forget to come back and visit me on Tuesday for my Terrific Tuesday blog post and video. 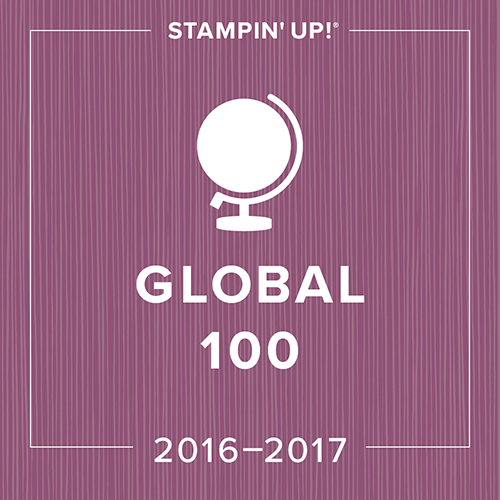 Happy Stamping everyone and enjoy your weekend!